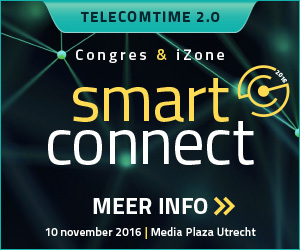 In aanloop naar het Smart Connect Event, hét telecom event van Nederland, interviewden wij Rami Avidan, Managing Director IoT, Tele2 Group. Rami vertelt over het belang van Internet of Things voor Tele2, welke sector als eerste actief was op het gebied van IoT en wat de huidige positie is van Nederland in vergelijking met de rest van de wereld. So for Tele2, IT is very important. You look at the strategy going forward, thow focus as for Tele2. It is one of those focus as, I would say in the long term very important, in the short term, medium important. First of all, IT will effect every single company. You as well as all. This regarding of which industry they’re in. So if they’re in agriculture, healthcare, or if they’re a telecom company, whatever they’re in. IT will effect the business, simply because what will happen, is that will shift from selling products to selling services. And when doing that, you need to have your assets connected, otherwise you can’t sell a service. Off course, Tele2 price ourselves of being a partner to our customers, we don’t want to be a supplier or vender. We want to hold our customers hands, as true partners, and take them on the IT journey, take them from a very analog world into the world of digitisation. So I often get the question on which are the early adaptors, and I would say this is very different for different markets pending on many different things, regulation for example and their specific market drivers. I would say, if you look at it as a whole, that two specific industries, that started many many years ago. The first one is, what is called amr, automated meter reading, so this is basically or electrical meter at home being connected. And that was driven by customers demand of having to pay a real bill rather than a guestimated bill. The other vertical that was very early on was the automotive industry. Because they wanted to be able to understand how these vehicles were actually driven on the road, and be able to optimize the manufacter of the vehicles. So that was the two first verticals that started. I think Holland is a great country, it is small but it has muscles, meaning that it’s a country that understands the importance of implementing technology. So I would say on a scale of 1 to 10, 10 being the most, let’s call it futuristic country and 1 being the least, I would probably put Holland somewhere in 6 tot 7, or the Netherlands I should say. I think, first of all, these events are extremely important to us as a player in the ecosystem. This is where we cement existing partnership relationship, this is where we make new partnership relationships and this is also where we are able to communicate to our potential customers. I being able to explain to them what we do and how we can help them on the journey of becoming digital. So I think all of these types of events are extremely important for us to take part of, and I urge everyone to come to the event to hear more about us, and off course off everyone else at the event. Smart Connect is het jaarlijkse ontmoetingspunt en kennis platform voor de belangrijke spelers uit de Telecom / ICT markt. Op dit event hoort u de laatste ontwikkelingen en trends en kunt u netwerken met telecom en ict experts. Bovendien vertelt Rami u tijdens het event alles over Internet of Things a strategic game changer.